He was born on April 3, 1944, in Cetinje , Montenegro , where he finished primary school in 1958 and grammar school in 1962. He finished his studies at the Faculty of Technology and Metallurgy in 1967 in Belgrade, his master's thesis in 1971 and in 1974 his doctoral dissertation named Study of Basic Processes Occurring During Sintering of Crystalline Materials. 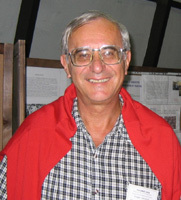 He started his research work at the Institute for Nuclear Sciences Vinca in 1968. In July of 1974, just before finishing his doctoral dissertation, he transferred to the Institute of Technical Sciences of the SASA. He was elected in all scientific and university titles. He was the director of the Institute beetween 2001 and 2011. He is a long-term Member of the International Institute for the Science of Sintering, where he is a President. He was a Coordinator of our programmes with European Union, as well as a Programme Committee Member of many international conferences and journals. He is the founder and President of Materials Research Society of Serbia, which held 19 YUCOMAT Conferences in Herceg Novi, between 1995 and 2017. The Proceedings were published in English first by Trans Tech Publications Ltd, Zurich, in Materials Science Forum Edition, and than in the journals Materials and Manufacturing Processes, Surface Engineering, Acta Physica Polonica and International Journal of Modern Physics B. Until now, he published one monograph of international reputation, co-edited two books published by Plenum Press, Sintering '85 and Science of Sintering: New Directions for Materials Processing and Microstructural Control , and eight books published by Trans Tech Publications. Recently, he published a book Nanotechnologies and Preventive and Regenerative Medicine in collaboration with Dr. Vuk Uskokovic, Elsevier 2017. According Scopus, he published 240 articles, many of which in high-ranking journals, held more than 100 lectures worldwide, out of which 50 Plenary Lectures at different international conferences or world-leading research centers. He is author of numerous articles published locally. He managed more than 20 scientific-research projects in basic and technological research and also several international projects with leading scientific-research organizations in the world (Max-Planck Institut, Stuttgart, Germany, Kyoto University, Kyoto, Japan, National Institute of Standards and Technology, Gaithersburg, USA, Korean Institute for Science and Technology, Seoul, Korea, and many Academy Institutes of ex-Soviet Union and Russia and Ukraine). He is the alureate of the 2007 Belgrade City Award for Science and Technology (with Dr. Nenad Ignjatović) for the book Calcium Phosphate Ceramics - Bioresorbable Polymer Composite Biomaterials: from synthesis to applications : (1999-2007). He is the laureate of the award of the Ukrainian Materials Research Society bearing the name G. V. Samsonov, for outstanding contribution to the science of materials for 2012. He is a co-author of monograph Activated Sintering (G.V. Samsonov, M.M. Ristic), which has been considered as a basic starting point of work in this field for years. Under his guidance more than 20 Master's Theses and the same number of Ph.D. dissertations were done.